For the many thousands of human beings who have come into his fold Sri Sathya Sai Baba is the supreme spiritual guru of our time. Sai Baba himself has declared that he is an avatar. According to Hindu theology an avatar is an actual incarnation of the full power of Divinity, of the Godhead. Such an auspicious event has not occurred for around 5000 years when, in another major Age of Mankind, the divine essence that is Sai Baba incarnated as Lord Krishna, to enact the role of avatar for that particular Age. Now Sai Baba says that that divine essence has come again, as the prophets have foretold, to guide and uplift Mankind at this critical time in human history. It is a historical fact that Divinity appears amongst us in order to remind us of our divinity. Sai Baba says “I know who I am. I have come to help you to realise who you are.” He proclaims that in essence we are no less than he. We are God incarnate. Unfortunately many of us have chosen to forget that vital fact. Amongst the many visitors to his ashrams in India are to be found men and women from every class, from every culture, from every creed. His devotees today can be counted in every corner of the globe. Sai Baba appears to manifest unlimited powers, sometimes to his devotees, sometimes to people who have no knowledge of his physical existence. He has demonstrated that he can bring the dead to life, that he can cure people who are suffering from life-threatening diseases without any use of medication, that he can save people from fatal accidents occurring hundreds of miles away from his physical presence, just by the power of his will. The number of objects that he has materialised with a simple wave of his hand runs into thousands. He appears to have total control over all physical events. He communicates directly, without any intermediaries, with his devotees on the physical as well as on the subtle levels of life. He appears to know the past, the present and the future of every human being. He guides all those that come to him with faith and devotion in both worldly and spiritual matters. Sri Sathya Sai Baba was born on the 23rd of November 1926, in a tiny remote village called Puttaparthi in the Anantapur district of Andhra Pradesh in Southern India. As a child he demonstrated exceptional qualities of wisdom, compassion and generosity. At the age of 14 he announced to his parents and villagers that his mission was to bring about the spiritual regeneration of Humanity by demonstrating and teaching the highest principles of Truth, Peace, Right-Conduct, Non-Violence and Divine Love. At the age of 21 he declared “I have a Task: to foster all Mankind to ensure for all of them lives full of bliss. I have a Vow: to lead all who stray from the straight path again into goodness and to save them.” Since 1950 his residence has been Prashanti Nilayam, which translates as the Abode of the Highest Peace, near the village of his birth. Ever since that time Prashanti Nilayam has been a gathering place for thousands of pilgrims from all religions throughout the world. His birthplace, once a tiny rural village, is now a beautiful university town, with schools and colleges lining its main street. It now boasts its own airport and the largest speciality hospital in Asia. 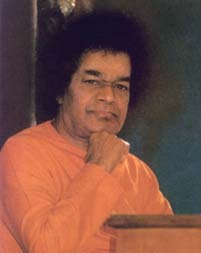 Sai Baba has declared that he is in the second of a succession of three incarnations of the Sai avatar. The first incarnation was Shirdi Sai Baba, born in 1835 and who left his physical body in 1918. Shirdi Sai Baba lived his life exemplifying the unity of God and the brotherhood of Man, by ministering to both the Hindu and the Muslim communities of Central India, each of whom claimed him as their own. For many years he would spend alternate days living in a Hindu temple and in a Muslim mosque. 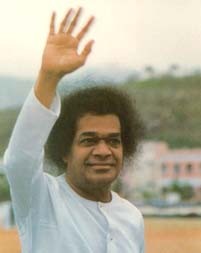 Sathya Sai Baba, born in 1926, died in 2011, and has stated that eight years after his passing he will be born again in a small village in the south of India, for his third and final incarnation. At this time he will be known as Prema Sai Baba and will complete the mission of the Sai avatar to end this age of darkness and to usher in the golden age of Mankind. We commend such an investigation to you.